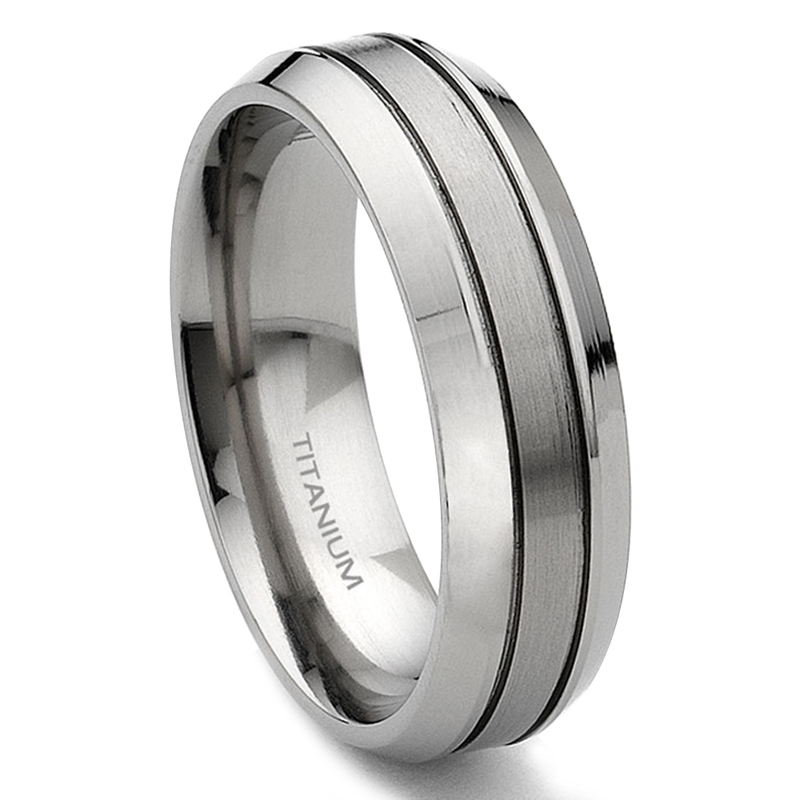 This flat Titanium band ring is has two grooves next to the matte finished center part and beveled high polished edges. Excellent customer service. Very prompt shipping and a great value. I bought this ring for my fiance (it's his wedding band) and it's a great looking ring. The ring itself is darker than the picture on the website (it doesn't look as "silver" as the pic would suggest). The price was right and shipping was fast. I would buy from this company again. Very satisfied! Do to an error with the post office I did not receive my ring as expected. 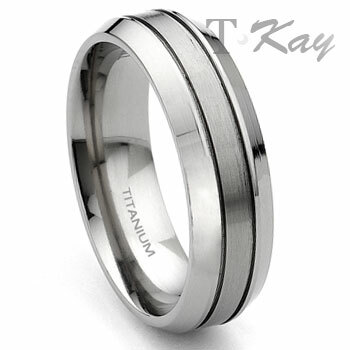 I was able to email Titanium Kay and actually visit the show room in LA where they brought my ring to me directly. When my ring was late from the warehouse they even offered me free upgrades! To top it all off they even are letting me bring the ring back by in a week to get a different size, and none of this cost anything more than what I paid online! This is a very beautifull ring at the best price I have ever found. I purchased it for my brother for his wedding and he was extremely thrilled. You will have continuous business from me. Thank you so much Titanium Kay.